Was Rachel Foutz Coleman a Casualty of Childbirth? 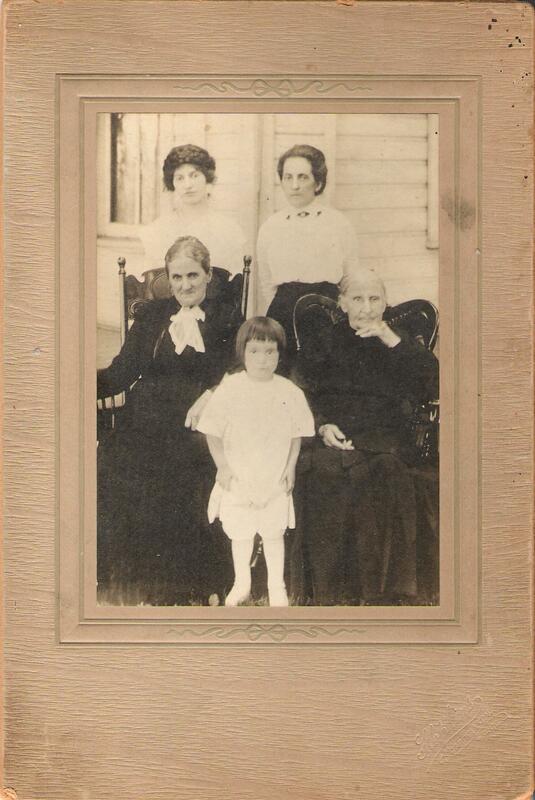 Five generations, about 1913. Clockwise, from left: Bessie (Moreland) Coleman, Ida (Foutz) Moreland, Rachel (Cramblett) Caldwell, Robert Coleman, Rebecca (Caldwell) Foutz. I don’t want to deceive you with the title — or header photo — of this post. There are still more questions than answers surrounding the life and death of my second great aunt, Rachel Foutz Coleman. So call this post an examination of new evidence, inching us a bit closer, let’s hope, to the answers we seek. In the last year, some key pieces have fallen into place, concerning our understanding of my great grandfather Vance Foutz’s family. In a series on Second Great Grandparents Jonathan and Rebecca Foutz and their children, I was able to sketch what we know of their lives, and to list some remaining questions about those turn-of-the-century Foutzes. Of all the members of my great-grandfather’s family — Jonathan and Rebecca, and his six older siblings — Rachel’s life is the most shrouded in mystery. Now, we reexamine what we know about Rachel Foutz Coleman, aided by information from two new sources: the obituary of a son, and the remembrances of a nephew. The information we’ve gathered concerning our Foutz ancestors, Rachel included, is culled from census records; birth, marriage and death certificates; newspaper articles and obituaries; military service documents; regional histories; cemetery maps and photographs; candid snapshots and portraits from life; and other public and private documents. For the last year, distant cousin Dawn James (great-great granddaughter of Vance’s sister, Ida Foutz Moreland) has been tirelessly transcribing her great-grandfather Sherman Earl Moreland’s (Ida’s son’s) memoirs. These four handwritten notebooks provide an important record of Sherman’s 99-year window on the world — and a vital link to what life was like for our ancestors 100 years ago. Today, I’ll quote some of the dispatches Dawn has graciously shared with me from Sherman’s journals that concern his remembrances of his Aunt Rachel and Uncle Bill Coleman. I’ll also share the obituary of her son, Karl. The back of this picture is transcribed "Mrs. Thomas Moreland / Carl Coleman". So, was this Coleman a brother of Ida's son-in-law, Frank, as her grandson, Carl Coleman supposes? Or, was it her nephew, Karl Coleman, son of Ida Foutz Moreland's sister, Rachel? The title of this post is deceptive, since the info I’m about to share doesn’t answer our key question about Rachel Foutz; namely, when, and of what, did she die? We also have yet to discover any photographs of Rachel. But the two pictures above are interesting for a couple reasons. Although we don’t have any multi-generational portraits of Rachel and her children and grandchildren and her mother and grandmother, as we do for sister Ida above, we can imagine the resemblance between Rachel and her sister Ida, mother Rebecca, grandmother Rachel and even her niece, Bessie, who also married a Coleman. Now we don’t know whether or not Bessie’s husband, Harry Coleman, was in any way related to Rachel’s husband, William. 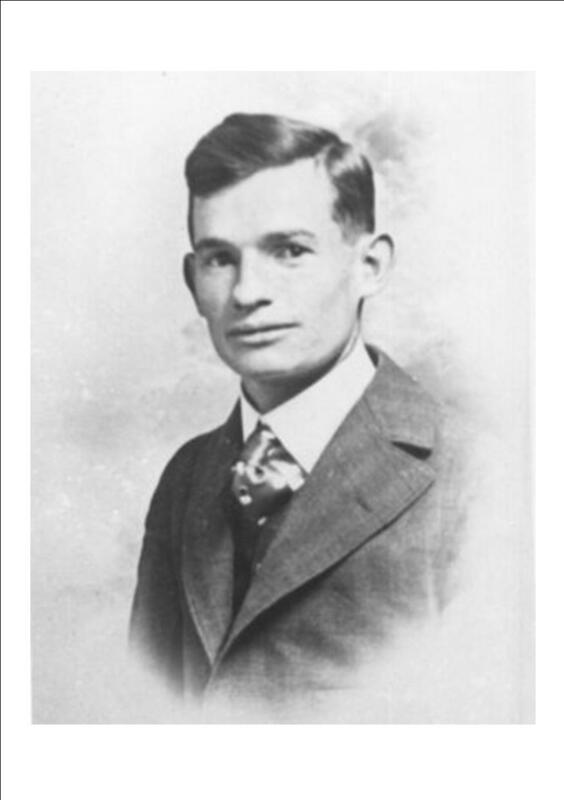 But we may have an answer for the question posed by Ida’s great-grandson Carl Moreland (son of our diarist, Sherman). When Carl shared the above picture of a Carl Coleman at last summer’s Moreland Family Reunion, he asked, “possible brother of Harry”? To which I wondered, could this be Rachel’s son Carl instead? Rachel married William Coleman in July 1891, when she was 20 years old. By census records, we find them in Allegheny, Pennsylvania in 1900. William works as a stationary engineer, and Rachel raises her three young children, Karl, 6, Blanche, 3, and newborn Frank, while also keeping house for two stepchildren, Bert, 18, and Charles, 15, William’s sons from a previous marriage. Back in Ohio, sister Ida started her family a bit earlier, marrying Thomas Moreland in 1889, at age 16. Their first child, a daughter, was born the following year. They named her Bessie. Now, Bessie marries a Harry Baxter Coleman in 1909, at age 19. They make their home at that time in Carrol County. Their first — and only — child, according to my records and those of extended family, is born about a year after their wedding. They name him Robert Coleman. He’s the young boy pictured with four generations of mothers, above. Now, we don’t know much about Harry Coleman’s family. And I suppose it would be possible for Ida’s son-in-law’s brother to want to send her a portrait of himself, if indeed his name happens to also be Carl Coleman. But wouldn’t it be more likely — and doesn’t the evidence we’ve gathered so far suggest — that Ida’s nephew Karl Coleman, son of Rachel, would share this portrait? So far, I’ve turned up no other Karl Colemans in the immediate — or extended — family tree. Carl Coleman, 21, died at 12:30… this afternoon at the home of Mr. and Mrs. Vance Foutz… of tuberculosis after an illness of a year, during the last six weeks of which he had been bedfast. Mr. Coleman worked for two years prior to his illness at the Woolworth Store in this city. He was a member of Grace Lutheran Church and of the Lutheran Brotherhood and was a popular young man with a wide circle of friends. 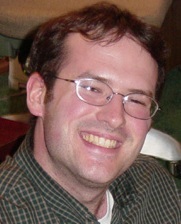 He was born in Pennsylvania and was a resident here for a number of years. He is survived by his father, William Coleman… this city; and by one brother, Frank Coleman, this city; and one sister, Blanche Coleman, of Sherrodsville; and one half-brother, Clifford Coleman, of Homestead, Pa.
Funeral arrangements have not yet been made. This death came March 23, 1915. As I’ve noted previously, this was in a spring where Vance’s oldest brother, Sherman, also would die of tuberculosis, in April, and his mother, Rebecca would die following a stroke in May. What the obituary confirms is Carl’s birth in Pennsylvania, his father and the names of two siblings and one half-sibling. What it lacks in detail — and frustratingly so — is news of his mother and one other sister, Bessie (yes, another Bessie Coleman), born 1906 in Dover. The main conclusion I can draw, since the obituary only lists survivors, and does not note those who “preceded him in death”, is that Rachel, and Karl’s sister, Bessie, are dead by 1915. Neither sister — Blanche nor Bessie — appears on the 1910 census which lists William, Karl and Frank among Vance Foutz’s Dover household. That Blanche lives in Sherrodsville by 1915 could mean that after Rachel died (if she died prior to 1915), she could have been sent to live with relatives there, or elsewhere. By 1915 Blanche would be 18, and could be on her own. We have only possibilities, no certainties. And Sherman Moreland’s journal suggests still other possibilities. According to distant cousin Dawn, Sherman Moreland’s journals total about 340 pages of script, and will likely comprise 100 or so typed pages when her transcription is complete. From the excerpts I’ve seen, Sherman writes in a narrative style — not in any strict date-by-date diarist’s form. So what we lack in a daily record, we reap in anecdotal richness: stories of visits to Grandmaw Foutz’s farm, and bare-naked plunges into a Bowerston creek, church commutes on a buckboard wagon, and tales of ancestors as he knew or was told them. Sherman’s record fills in the blanks for certain mysteries the official documents couldn’t solve, including the deaths of my second great uncle John Cephas Foutz and the passing of Great-Great Grandpa Jonathan — and what became of his family in the years afterward. I’ll share that information in the next post. Uncle Bill and Aunt Rachel Coleman had moved from Levetsville (most likely Leavittsville, northeast of Sherrodsville — Colt), to Phillipsburgh. Uncle Bill, a stationary engineer, worked in one of the several large coal mines. At that place. Later the Colemans moved to Canal dover. It was when these folks lived in Dover that we visited there. I saw the first and only canal boat in my life on the canal. The boat was pulled by a mule. The mule travelled along a toe path beside the canal. Uncle Bill was employed on the new river bridge that was under construction at that time. We on that trip attended the first county fair in our lives. The county fair at Dover. Also about this time mother took us older children to Ringling Bro. Big Tent show at Urichsville. We went by train. And really had a wonderful time. And that ends the excerpt (paragraph breaks were added by me). That Sherman refers to an Aunt Rachel is a good sign. And that the families remained close — settling and resettling in the same places and visiting throughout the early 1900s is also an indication that we may yet put together the whole puzzle. The last and latest record that bears Rachel Foutz’s name is the birth certificate of her youngest child, Bessie, born in Dover on Jan. 31, 1906. There is no record of Bessie, either, after that. So, could this be the date when both mother and daughter depart the world? I have not found a grave for Rachel, Bessie or Karl. Actually, there is one last trace of evidence for Rachel. The 1994 death record of Rachel and William’s daugther, Blanche Escott, records Foutz as the maiden name of the 97-year-old’s mother. Would that we could have interviewed Blanche about her childhood, and what became of that mother.